The need to map vegetation communities over large areas for nature conservation and to predict the impact of environmental change on vegetation distributions, has stimulated the development of techniques for predictive vegetation mapping. Predictive vegetation studies start with the development of a model relating vegetation units and mapped physical data, followed by the application of that model to a geographic database and over a wide range of spatial scales. This field is particularly important for identifying sites for rare and endangered species and locations of high biodiversity such as many areas of the Mediterranean Basin. The potential of the approach is illustrated with a mapping exercise in the alti-meditterranean zone of Lefka Ori in Crete. The study established the nature of the relationship between vegetation communities and physical data including altitude, slope and geomorphology. In this way the knowledge of community distribution was improved enabling a GIS-based model capable of predicting community distribution to be constructed. The paper describes the development of the spatial model and the methodological problems of predictive mapping for monitoring Mediterranean ecosystems. 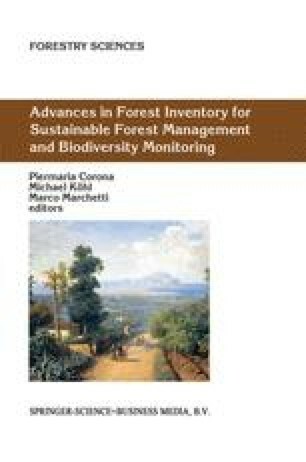 The paper concludes with a discussion of the role of predictive vegetation mapping and other spatial techniques, such as fuzzy mapping and geostatistics, for improving our understanding of the dynamics of Mediterranean ecosystems and for practical management in a region that is under increasing pressure from human impact.